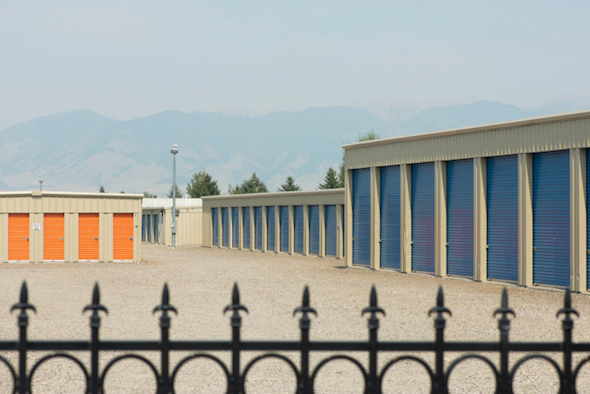 Choosing a self-storage unit doesn’t have to be like the kids’ fairy tale “Goldilocks and the Three Bears,” where you try out every size unit before finally finding one that suits your needs. Whether you’re looking to store the contents of an entire four-bedroom home or just your seasonal clothing, there’s a unit that’s just right for you. But how do you determine what size you need? Take a quick inventory of items including furniture and appliances and estimate the number of boxes and/or totes. You can use a tape measure for the larger items. Consider whether you have irregular-shaped items that can’t be boxed or stacked like lamps or bikes. 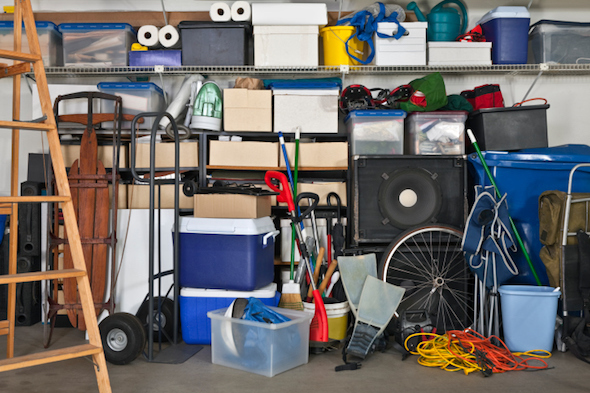 Are you stuffing it full or do you need a slightly larger unit to walk around and move items? “While it’s rare, I’ve had customers who want to turn their unit into an honest-to-goodness storage lounge with pathways, shelves and ladders to reach tall goods,” said Cindy Bellomy, co-owner of Able Self Storage in Pearland, TX, and Crowley Mini Storage in Crowley, TX. “That’s OK, too.” You just have to be clear on what you want. They can help you gauge the right size unit and offer ideas for packing your unit. “You can find tons of diagrams online depicting what can be stored in various unit sizes,” Bellomy said. 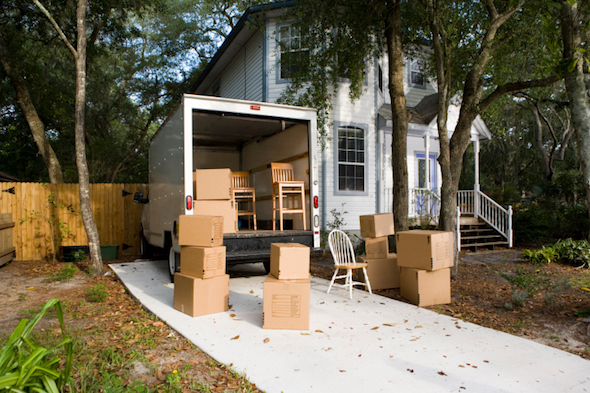 If you’re using a moving truck, the truck’s dimensions can help you estimate how much total storage space you’ll need. The truck size is typically one size larger than the unit size you’ll need, Goodin said. Goodin finds many new customers underestimate their needs and choose a unit that’s too small. He recommends inquiring about the price of the next larger size. Fish said before making that final decision, visit the facility to tour a unit that’s the same size as the one you’re planning to rent. Seeing it might be easier than trying to picture it in your head. Fish’s facility in Auburndale, FL, offers a 10’x20’ demo unit with the standard sizes broken down with lines on the floor to show customers the differences between the sizes. Typically, units are sized by length times width, giving you an estimated floor space square footage. You can calculate your needs by square footage or the number of rooms you’ll be storing. But remember units typically have a ceiling height of 8 feet; so a little space goes a long way. What fits: A dresser, small mattress set and several boxes. Other uses include seasonal decorations, personal items, gardening equipment, camping gear, children’s toys or off-season clothing. Marc Goodin, president of Fort Lauderdale, FL-based Storage Authority Franchising, tells new customers that if they stand in the 5’x5’ with their arms stretched out, they can touch both walls so it’s relatively small. Size: 50 square feet, equivalent to a walk-in closet. What fits: Furniture from a one-bedroom apartment or dorm room including a queen-sized mattress set, dresser, TV, bike and several storage boxes. Size: 100 square feet, equivalent to half of a standard one-car garage. Think of it as an extra bedroom since most are about 10’x12’. What fits: Items from two bedrooms (mattresses sets, dressers, nightstands) or an entire family room (sofa, chairs, coffee table, book shelves). Size: 150 square feet, slightly smaller than the size of a standard one-car garage. What fits: Items from three bedrooms or other large items like big-screen TVs, couches, pianos, tables or appliances. Size: 200 square feet, the size of a standard one-car garage. What fits: Items from a three- or four-bedroom house or apartment, including couches, mattress sets, a dining room set, workout equipment, a refrigerator and washer and dryer. “I say a small house packed poorly is a 10’x20’. If you’re not good at packing, go a size bigger,” Goodin suggested. This size is also ideal for your classic car over the winter. Size: 300 square feet, or the size of a one-and-a-half-car garage so you can store pretty much anything you need including vehicles or boats. It’s the largest unit at most facilities. What fits: Items from a fully furnished five-bedroom house including mattress sets, dressers, couches, dining room set, entertainment center, major appliances, seasonal items, outdoor equipment and bikes. “10’x30’s are for a huge family house when all of the kids have full bedrooms,” said Ashley Fish, district training manager for Winter Garden, FL-based iStorage. My wife and I have been thinking about choosing a new storage unit, and we wanted to make sure that we knew if everything would fit in the end. I really like that you say to use your moving truck to gauge the size you will need. It would be nice to see if all of your stuff fills the truck, or if you only need about half. moving truck to a 10’x20′ storage unit. I’ll be sure to share this tip with my brother. I think you make a good point when you recommend going a little bit bigger on a unit size, just in case. My wife has a bunch of things she wants stored while we remodel our home, so I’ve been looking at getting a storage unit. I’m terrible at guessing size or volume, so I’ll be sure to go a little larger than I guess to ensure we have adequate space to store all our things. My mother is looking into getting a storage unit as she moves into a new home in the coming months. I think it would help her to be less stressed to know that you can visit a facility and see the size in which you need or are getting. This will help her a lot. Thanks for pointing out that we should find a bigger storage unit if we will need to access the items in it. My husband and I are keeping some of our old memory items in a unit, and we are wondering what size we should be looking for. Since we’ll be visiting the storage facility often, we’ll be sure to get a bigger space. My husband and I have to keep some of our extra furniture and belongings in a storage unit until we can find a bigger place, and we are wondering what size we should get. So I appreciate you letting us know that a 5×10 size will fit the stuff from a one-bedroom apartment. Since that is about how much we’re downsizing, we’ll have to get a 5×10 storage unit. It’s really nice how you said that a storage unit should be able to fit everything you have in them. Thanks for also mentioning how they should also guard your things in a safe manner. My husband and I are considering getting a storage unit that can fit our winter items during the spring and summer.